Kidman Flower Co. is all about native plants. Native plants are having a huge resurgence in floristry as well as garden plants. They take really well to the harsh Australian climate and have a low environmental impact. 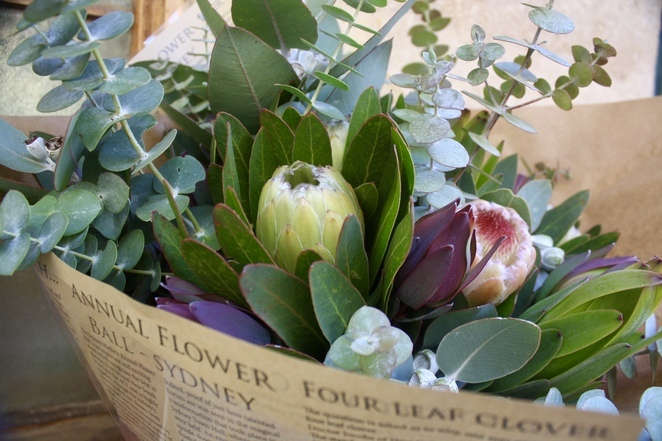 Kidman Flower Co. are passionate about local sustainable industries and share their love of natives in a masterclass in native flower floristry on their expansive native plantation. 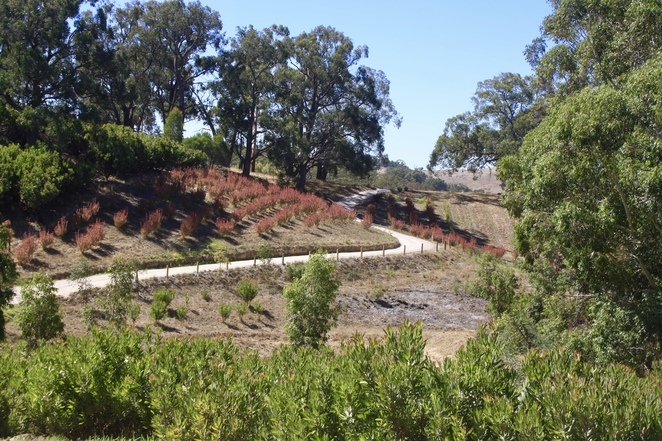 Kidman Flower Co. is run by husband and wife team Des and Ange, who have a substantial plantation of thirty acres of native plants in the Adelaide hills. In addition to supplying plants nationally to florists, they run tours of the plantation and delightful flower arranging workshops. The workshop begins with a walking tour of the plantation which takes in outstanding views across the valley. Plus lots of tips on how to look after native plants, including the best tips on pruning, watering and harvesting of flowers. 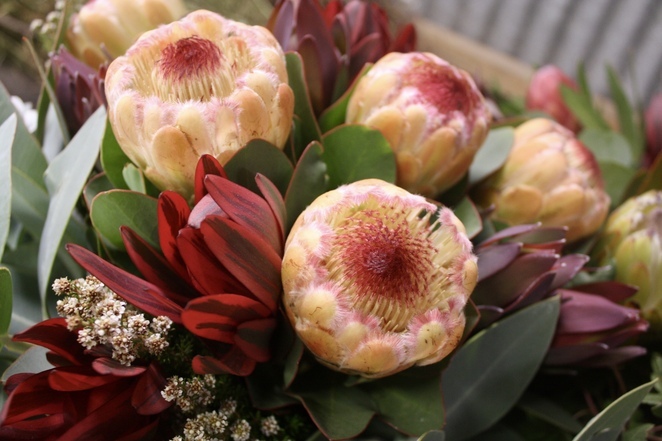 Autumn is an excellent time to attend a workshop as the proteas are in full bloom. 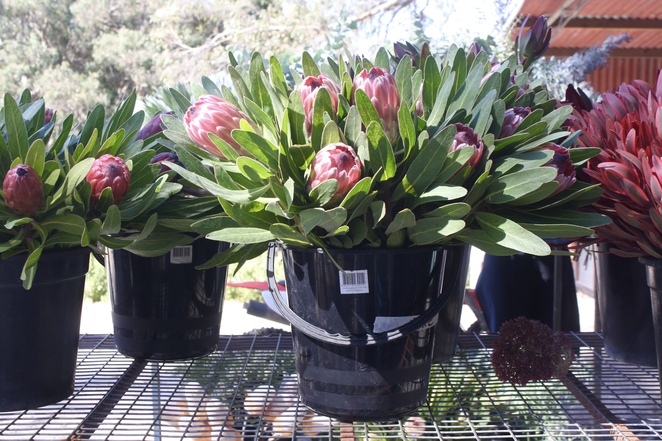 Proteas are native to South Africa and generally grow well in the similar tough environment of Australia. The blooms are long-lasting, however, the trees take a few years to produce a big harvest of flowers. During this setup time, they require ongoing watering and pruning. Native plants have a low impact on the environment and there is a growing trend and popularity for native plants in floral arrangements. Kidman Flower Co. is all about native plants. The walking tour throughout the plantation includes a look at developing popular native plants like Argyle Apple gum and Leucadendrons. The scent of eucalyptus is intoxicating and refreshing. Good strong walking shoes are needed for the walking tour. On return from the walking tour, a delicious homemade afternoon tea is supplied. 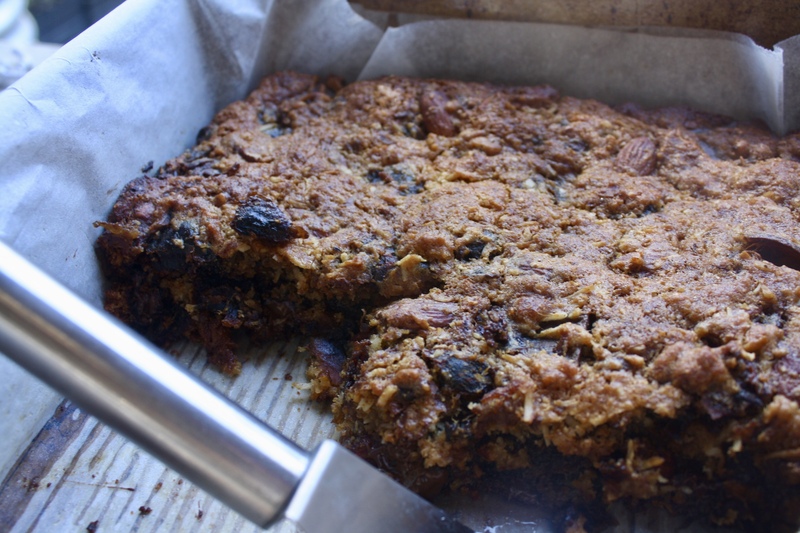 There is nothing synthetic or fake about this workshop or the food. Ange served up a sticky date slice which was her Nanna's secret recipe that she had adapted to include roasted almonds and chocolate. Very hard not to go back for seconds with the yoghurt cream and fruit salad. Fortified by a good cup of tea and lovely afternoon tea guests are then given instructions on how to arrange these majestic native flowers. There are instructions on preparation, design and technique, all of the tuition is helpful and the rules are there are no rules. We are invited to have fun with our arrangements and we all do. Assistance is provided and we are soon lining up to wrap our beautiful bouquets. While we are choosing our blooms and making decisions about our flower style, we also get a glass of bubbles (local prosecco) which goes down very well. Time spent going wild with native flowers is immensely therapeutic. There is time to learn, smell and arrange the most incredible blooms. Guests who were stressed out to begin with leave happy and relaxed after this encounter with beauty and indulgence. 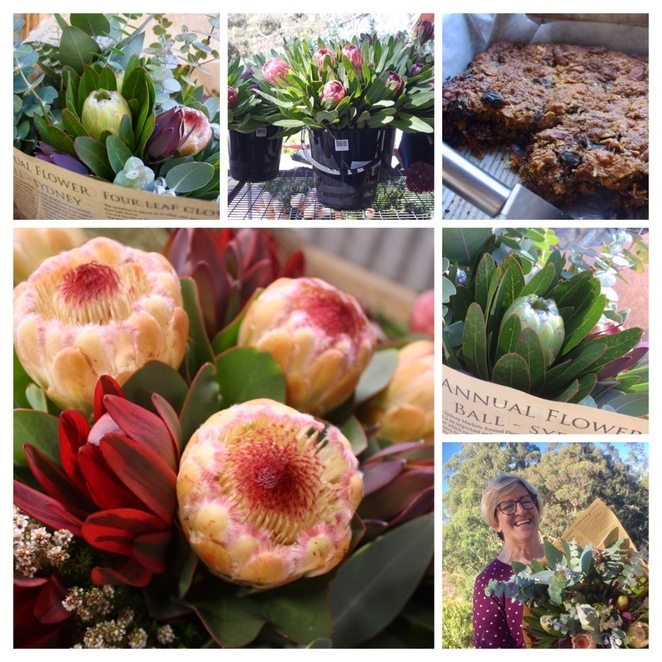 Kidman Flower Co. run workshops most months of the year. Bouquets can be picked up from the flower shed on site, phone prior to arrange collection.